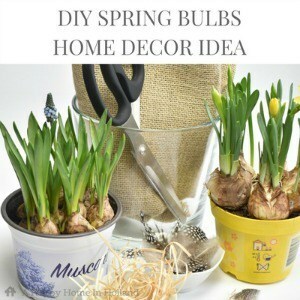 Do you ever bring your spring bulbs inside to decorate your home? No? Then you should! 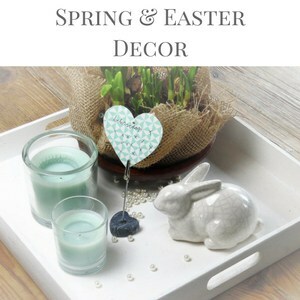 You can create some beautiful displays using just a few spring bulbs and other supplies. Hello, it’s Sam here from A Happy Home In Holland. 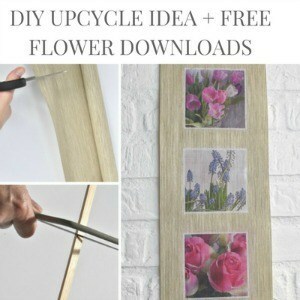 And as always, I’m happy to be back here again at Kenarry to show you another easy DIY idea for your home. 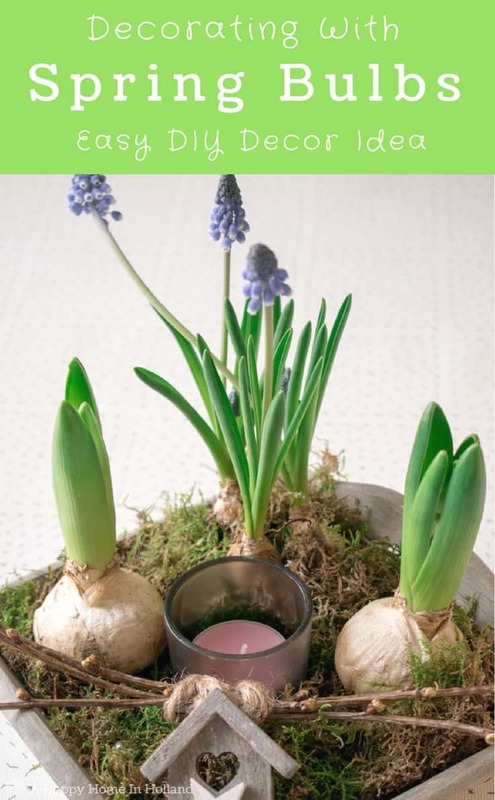 This month, since spring is not so far away, I thought I’d share a simple but very pretty way to display spring bulbs in your home. Before I moved here to the Netherlands, I always used to just plant my bulbs in the garden and wait for spring. But now I love to use them to brighten the place up throughout the whole year and especially during the Spring and around Easter time. 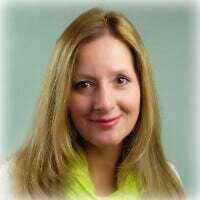 They are so versatile and cost very little. Obviously, living here in the Netherlands makes me a little bit biased, after all, the Dutch are definitely the experts when it comes to flower bulbs and over the years I have managed to pick up a trick or two. Did you know that the bulbs do not need soil to bloom? Yes, all the energy they need to produce flowers sits right there inside the bulb. Obviously, when you plant them in the soil they get more nutrients which helps them grow bigger and stronger but for the purpose of temporary flower displays in your home, it is fine to carefully remove the soil and display the bulb on its own. This little display idea that I am going to share with you today, as with most of my projects, is very simple and budget friendly too. 1. Line the tray with a piece of gladwrap or plastic (this will stop the moisture seeping into wood). 2. Carefully take the bulbs out of the pots and loosen the soil from around the bulbs and the roots. 3. Place the hyacinth bulbs in the two opposite corners the tray. 4. 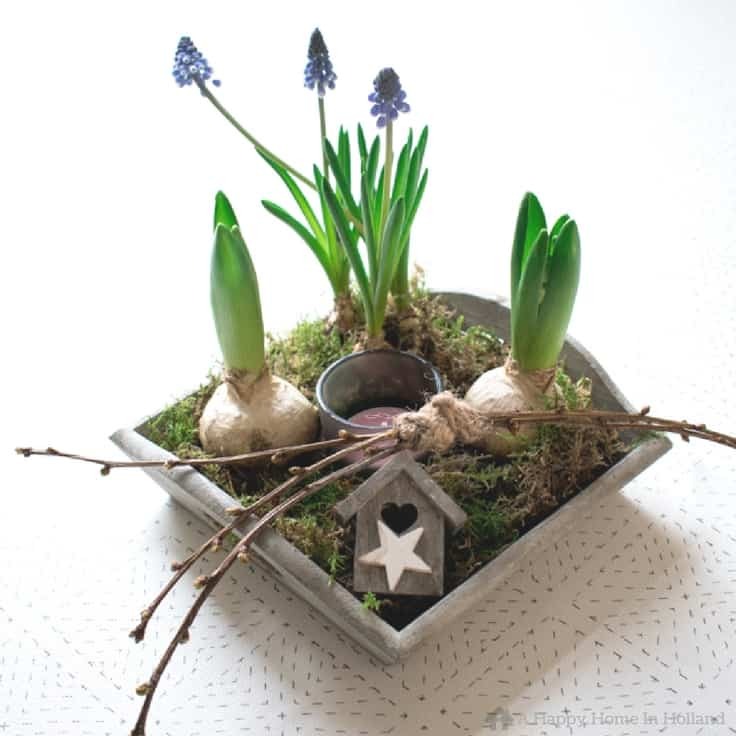 Add the 3 muscari bulbs in another corner to create a triangle formation with the hyacinth bulbs. 5. 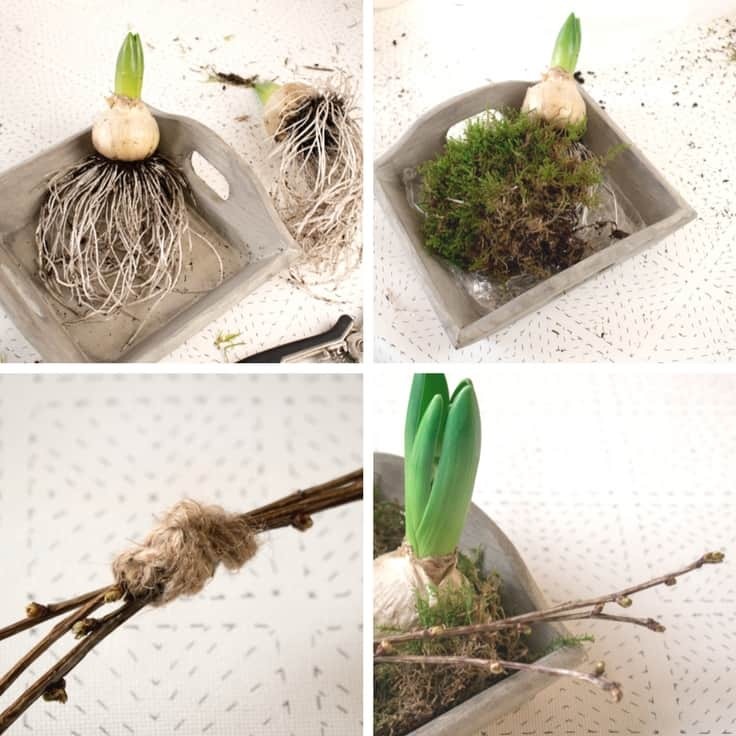 Now place your moss over the roots and base of the wooden tray, make sure that you leave the bulbs exposed on the top. 6. Create a little indentation in the middle of the moss and add your glass candle votive. 7. Cut 6 cherry blossom twigs to a length of about 6″. 8. Arrange the twigs so that 3 overlap the other 3 and bind them in the middle with some string or twine. 9. Place the twigs at an angle across the display. 10. 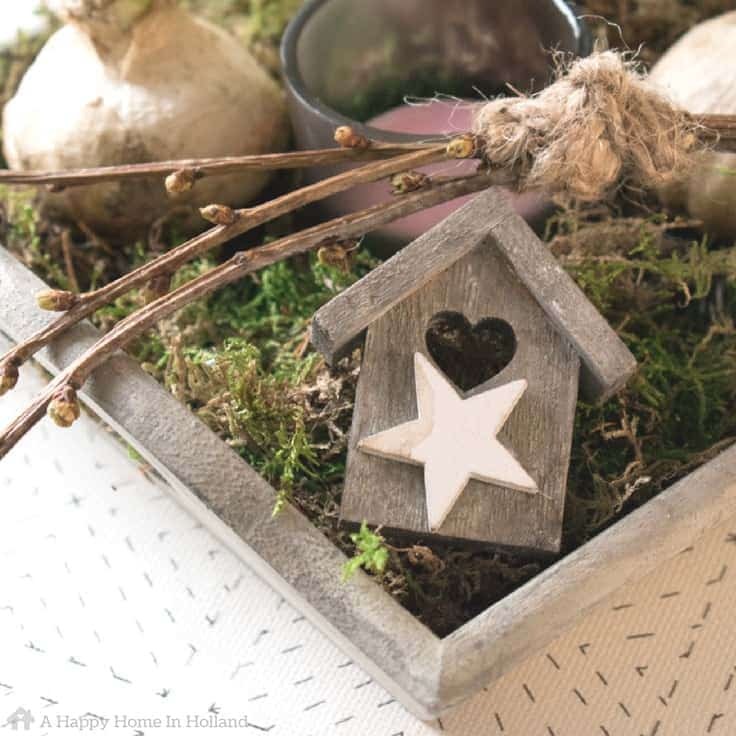 Add your embellishment – this can be anything; a little birdhouse, a small wooden heart, a little rabbit, etc. 11. And last but not least add your little eggs – I always like to add a few broken ones to my display. You can add a small amount of water underneath the moss to stop them drying out too quickly but make sure you keep the bulbs dry. Check the water level daily and top up as required. 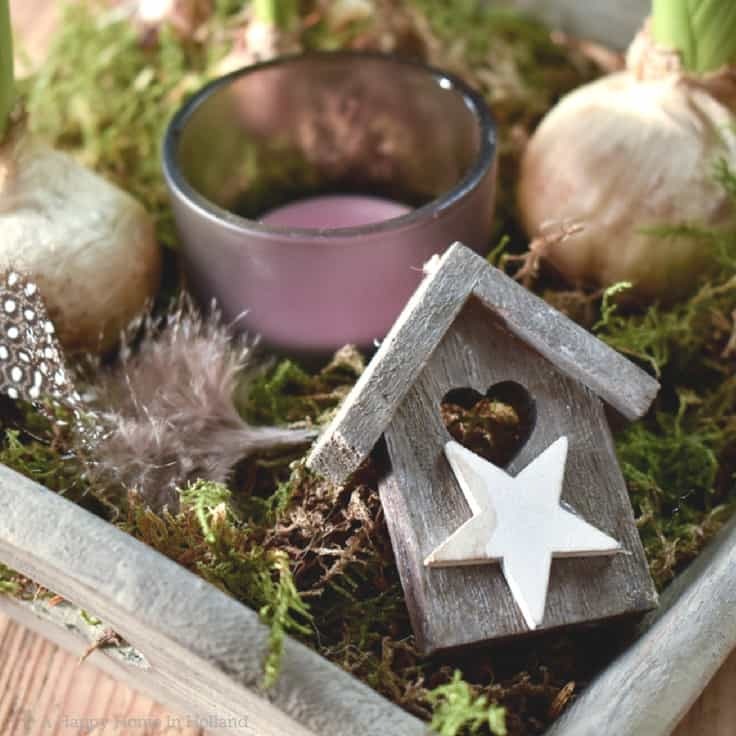 This is just one idea but the beauty of decorating with bulbs is that you can use whatever you have at hand and play around with the design until you are happy with what you have. Now it is your turn, see what you can come up with.